Dhruv Grewal received a Ph.D. from Virginia Tech and is the Toyota Chair in Commerce and Electronic Business and professor of marketing at Babson College. His academic interests focus is on marketing foundations and research, retailing, pricing, and value-based strategies. Dr. Grewal was awarded the 2005 Lifetime Achievement in Behavioral Pricing Award by Fordham University and was listed in the World's Most Influential Scientific Minds by Thomson Reuters in 2014. He is a coauthor of Marketing Research, has published more than 70 articles in leading journals, and serves on numerous editorial boards. Dr. Grewal is a recipient of the 2005 Sherwin-Williams Distinguished Teaching Award, SMA; 2003 AMA Award for Innovative Excellence in Marketing Education; 1999 AMS Great Teachers in Marketing Award; and 1998 Executive MBA Teaching Excellence Award. He has taught executive seminars and joined in research with numerous firms, including IRI, TJX, Radio Shack, Monsanto, McKinsey, and Motorola. Michael Levy received an undergraduate and M.S. degrees in business administration from the University of Colorado at Boulder and a Ph.D. in business administration from Ohio State University. He is the Charles Clarke Reynolds Professor of Marketing Emeritus at Babson College and CEO of RetailProf LLC. Dr. Levy received the inaugural ACRA Academic Lifetime Achievement Award; the 2009 Lifetime Achievement Award, American Marketing Association, Retailing Special Interest Group; the Babson Faculty Scholarship Award; and the Distinguished Service Award, Journal of Retailing. Marketing Educator rated him one of the best researchers in marketing. 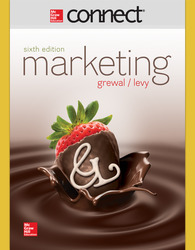 Dr. Levy has published more than 50 articles in leading marketing and logistics journals and is co-author of the sixth edition of Marketing. He has performed research projects with major retailers and retail technology firms, including Accenture, Federated Department Stores, Khimetrics, Mervyn’s, Neiman Marcus, ProfitLogic, and Zale Corp.